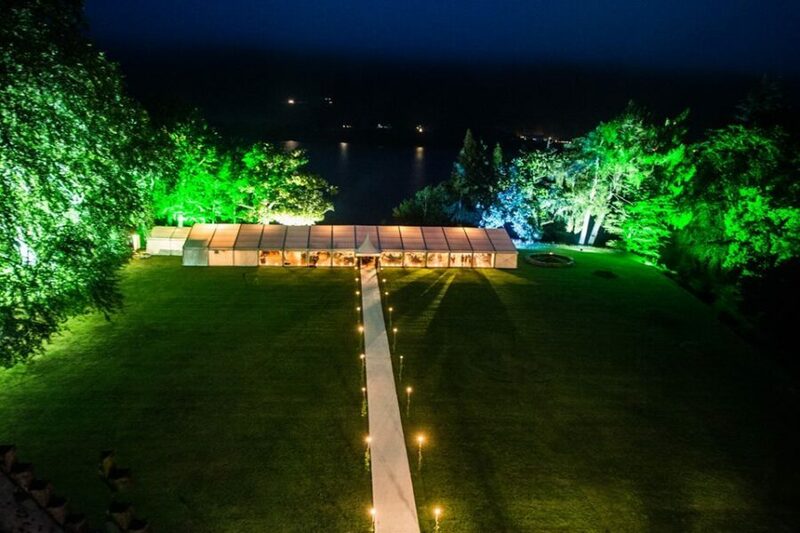 Whether you’re looking to set the mood for a wedding celebration, party or brighten up a business conference we have a selection of marquee lighting that will create the perfect atmosphere including; Starlight Linings, Up-lighters, Fairy Lights, garden lighting and more. LED uplighters are our most popular lighting system because of their effectiveness and simplicity. They come in a chrome finish and provide endless colour options, which can be dimmed or programmed to change with the beat of the music. We can also provide dimmable Halogen uplighters with modern white light for a fresh contemporary look. 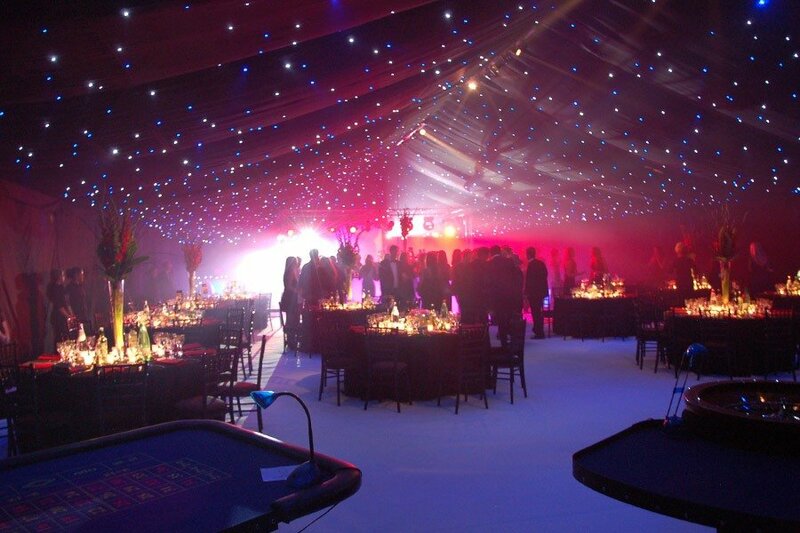 Uplighters completely transform the look and feel of your event with the push of a button. Our Star cloth lining is black cloth with white and the occasional blue light to provide real sparkle. They have a speed controller so you can make the twinkle effect speed up or slow down, depending on your preference. 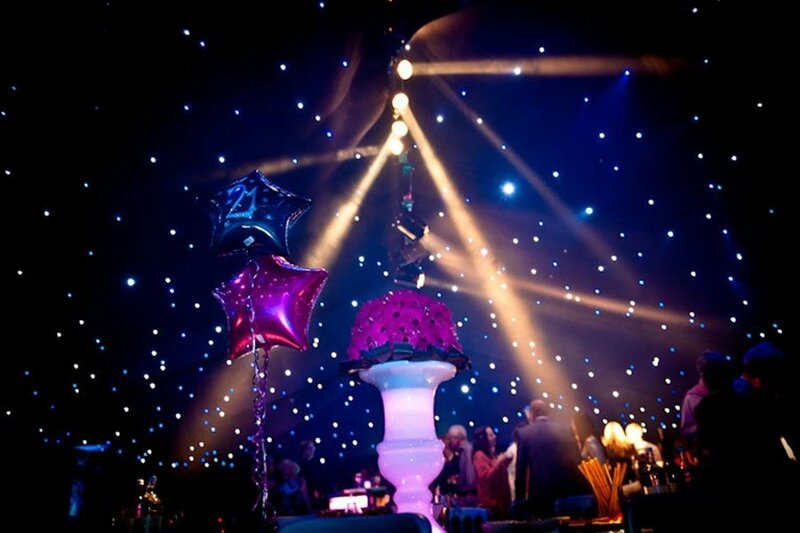 Star cloth linings are Ideal for weddings to give the appearance of a romantic night sky or parties to provide that wow factor. 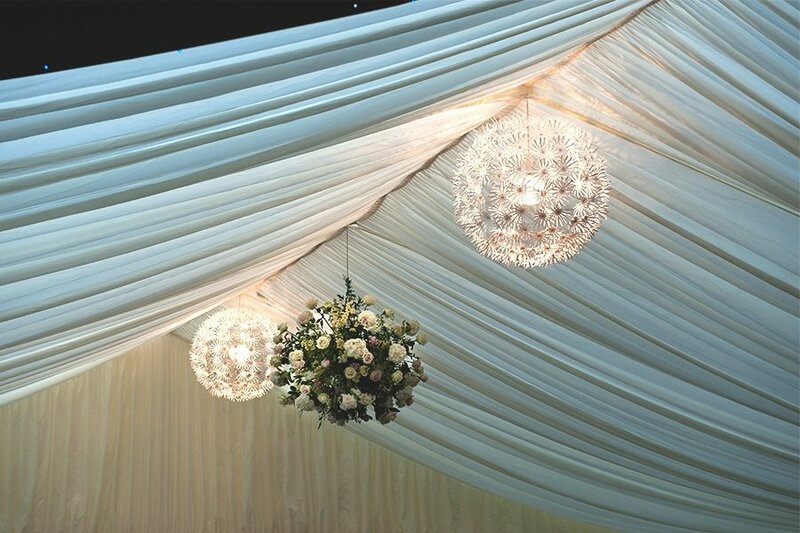 Classic and beautifully crafted chandeliers in Gilt, Ivory or Black, will complement any marquee, and with dimmer controls you can set the mood for your event. 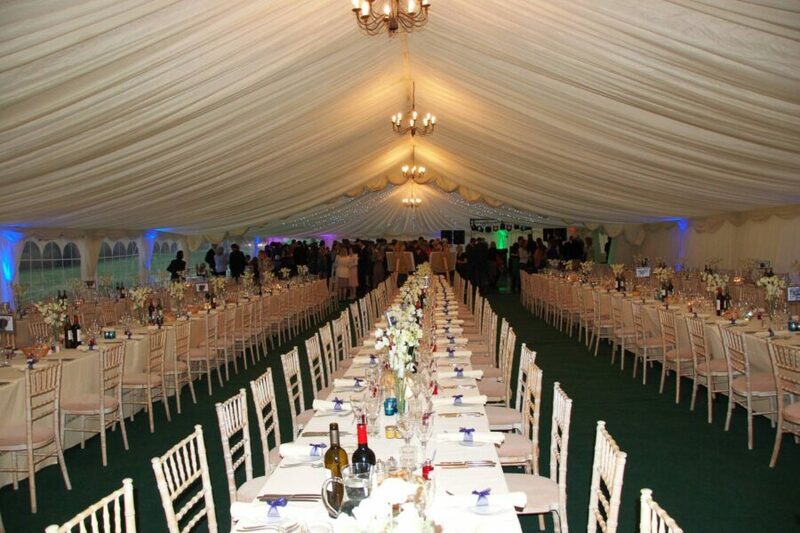 We can provide 8 or 12 branch chandeliers to suit any size of marquee. Each pin spot creates a sharp beam of light, to beautifully enhance table centres or event showpieces, and give your event a little extra ambience. Metal halides provide the perfect solution for uplighting trees, buildings and features with rich colour or white. Our snowflake lights are a delicate and original lighting solution for any event. 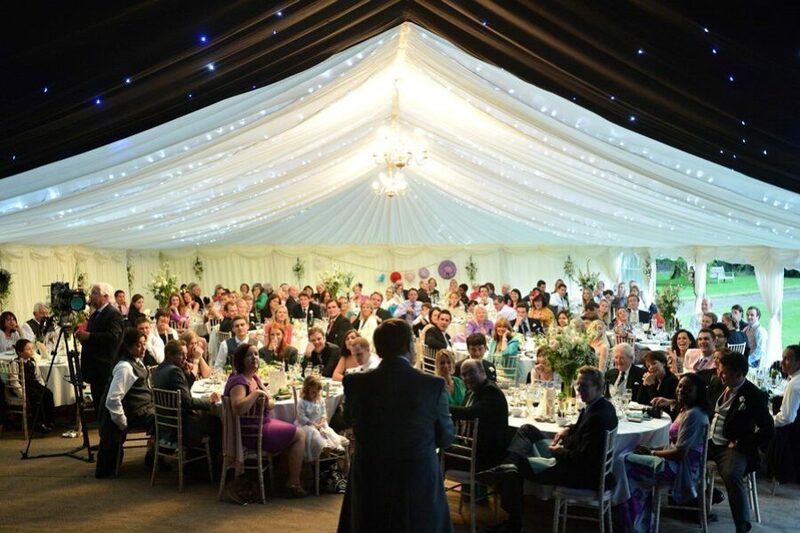 Festoon lighting can add a fun splash of colour to your marquee or garden with well distributed light that can be used on their own or as an addition to fairy lights or Chandeliers. 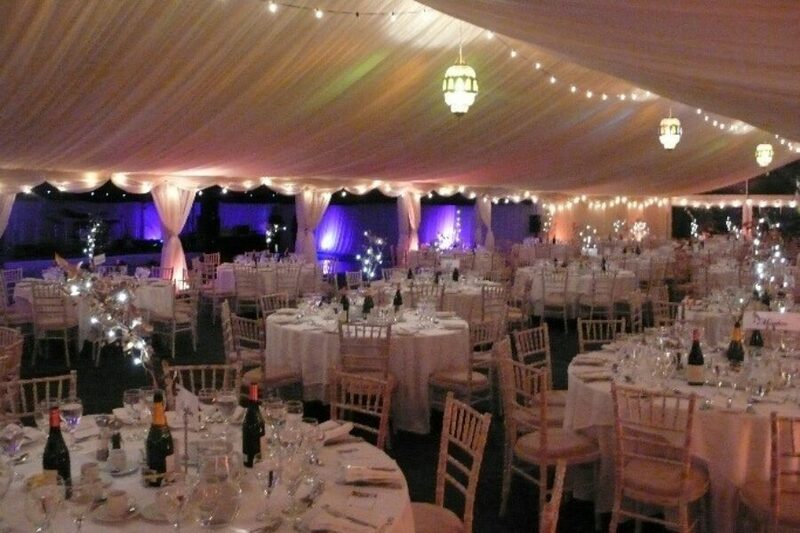 Our festoon lighting is also available with modern white lighting. 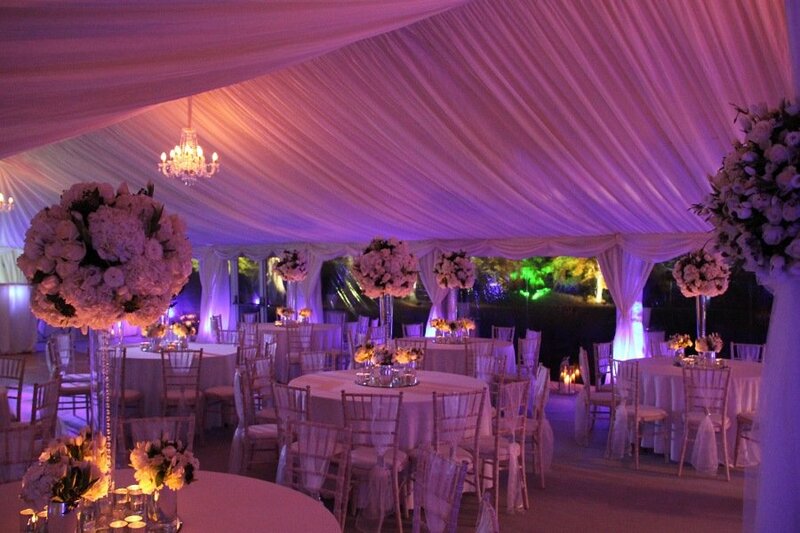 Fairy Lights: A sparkling effect for the roof of the marquee adds great accent to a dance area without having a black effect during the day. Fairy lights are ideal for decorating the centre poles, hanging behind the linings or even decorating trees and pathways outside.